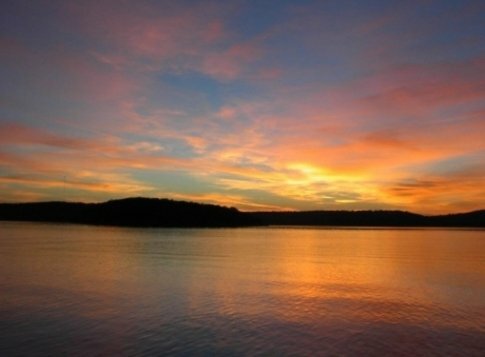 Operated by the U.S. Army Corps of Engineers, Strayhorn Landing Campground offers camping along Lake Tenkiller. 40 campsites with 30-amp electric hookups are offered, including two handicap-accessible sites. Three handicap-accessible group shelters are available, each with 30-amp electric hookups. Amenities in the campground include showers, flush toilets and a dump station. Accessing Lake Tenkiller is easy with a swim beach and boat ramps located in the campground, and a playground gives kids a place to run and play. A marina with concessions and boat rentals is located adjacent to Strayhorn Landing Campground. Located on Strayhorn Rd just east of SH-10A.